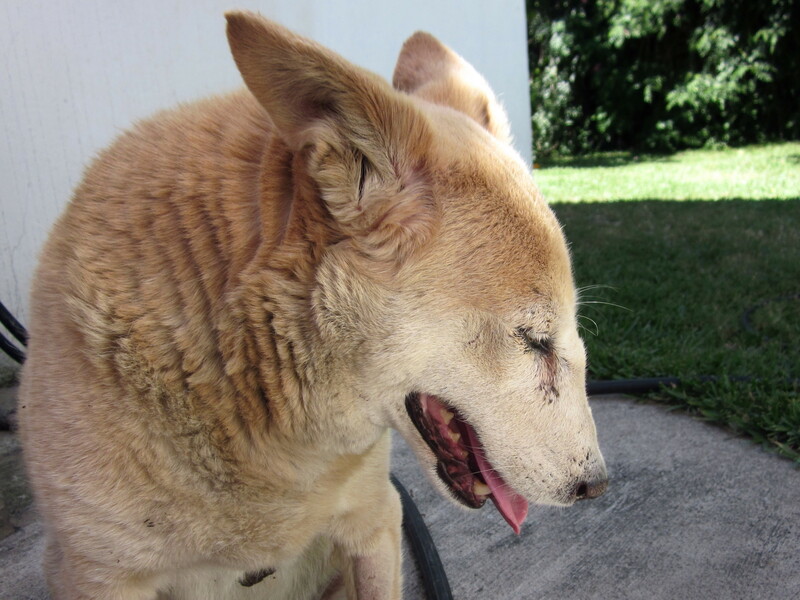 One of our most cherished street dogs, Biscuit was diagnosed with CTVT in his nasal passages. This is the first nasal case that Ayuda has encountered and the first that key volunteers have seen in their 4 years in Panajachel. The tumors have caused fluid build up in his lungs as well. Poor boy sneezes and rasps constantly. And, to top it off, he has trouble chewing and swallowing so soft food is a must for the next several weeks. However, Biscuit’s spirit is very high and his little stub tail continues to wag daily. Biscuit received his first of four chemo treatments on Thursday and is resting comfortably at Ayuda’s headquarters. As this is written, he is laying in the backyard grass sunning himself after a good breakfast. Once again the horrors of this predominantly sexually-transmitted disease rear up and give us one more good reason to continue the push to sterilize and treat our local dogs. Biscuit’s treatments are being made possible through the support of the Brigitte Bardot Foundation and people like you who care about the well being of homeless animals. We thank you all and Biscuit does, too! Quaker Concern for Animals would like to thank Ayuda for your blessed work for our fellow creatures. Muchisimas gracias a todo el mundo! of this wonderful organization Ayuda!